Fun & Inspiration What Does Your Temper Reveal About Your Personality? 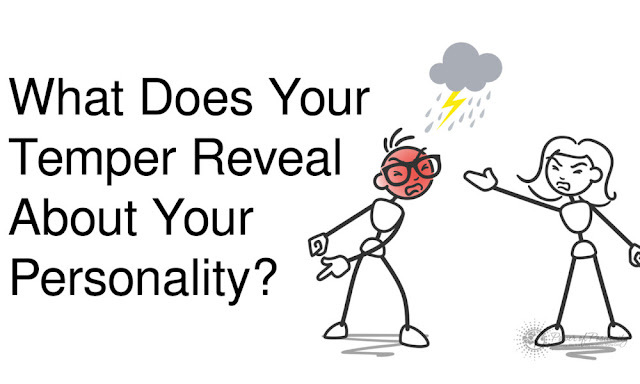 What Does Your Temper Reveal About Your Personality? If you’ve ever been told that you have a hot temper, you might wonder what that means about your personality and how others perceive you. Anger is a normal emotion for us to have when we encounter frustration, delay, difficulties, or anything that blocks our progress. Anger is usually what we mean when we refer to your temper. People do different things to manage their level of anger. Anger is almost always a result of you not getting your needs met. When someone is disrespecting your needs, you feel a tightening in the space below your lungs and above your belly button. That gut feeling and other physical signs are the symptoms that your temper is on the rise. After you experience these symptoms for a while, BOOM! You may find yourself erupting like a volcano at someone if your temper is out of control. 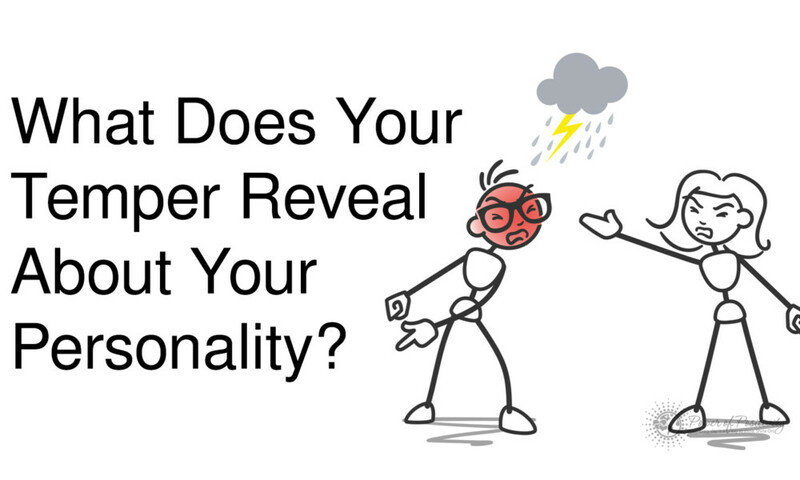 Let’s look at the styles of temper and what they reveal about your personality. Just as the list of symptoms above tends to escalate, so does your temper. Your level of frustration at which you explode is fairly low. People tend to avoid you due to your tendency to react so aggressively with anger. Ronald and Patricia Potter-Efron, authors of Letting Go of Anger say that there is tremendous research that shows that some people’s brains are not as good at controlling anger as others. The prefrontal cortex of the brain is where anger is controlled and scientists can see lower activity in this area of the brain for some, but not all people. If you believe that you are the kind of personality with an explosive temper, try to practice counting to 3. Common knowledge used to be that you would count to ten to calm yourself down, but Ronald and Patricia Potter-Efron say that as little as 2 seconds is enough to let the initial anger pass. Go for 3 seconds, just in case. If this doesn’t work, therapy may be the best solution for an explosive temper personality.Researchers who gave combat veterans with PTSD and anger difficulties 6 weeks of anger management therapy with an in-person counselor and via teleconferencing found that both groups benefitted from the counseling by having fewer personal anger-related difficulties in their lives. If you are the type of personality who says ‘I can’t deal with this right now’ and puts on a happy face in spite of your rage, you have an avoidant temper style. Ronald and Patricia Potter-Efron say that women in particular are susceptible to this pattern. This style of anger is the sarcastic, joking type that is common in funny movies. You might think people would appreciate it more, but it just comes off as back-handed and cruel when you are honest about your feelings but you disguise it just enough to sound like you’re trying to be nice. You aren’t fooling anyone. The best thing to do here is express your emotions honestly as you already were, but remember that you’re creating a new story by discussing with positive intentions to solve a problem, rather than using anger to achieve your goal. The little things really get to you and it all feels like it’s little lately. If every little thing seems to tick you off, you probably are the type of personality that is irritable fairly often. The clerk dropped your change on the floor. The barista pronounced your name wrong. You hit every red light on the way. If every little thing seems to go wrong for you and makes you angry, you have an irritable temper. Some great things you can do to overcome irritibality is remember one thing: We are ALL human and we all make mistakes. Surely someone could be irritated by you, so ask yourself, “how would I feel if I were being treated this same way right now?”. You’ll quickly cease this type of anger when you expand your perspective on the issue.